Summer is the busiest time of year for me at work and this usually starts around spring, so I’m very grateful for everyone’s patience with me posting here. 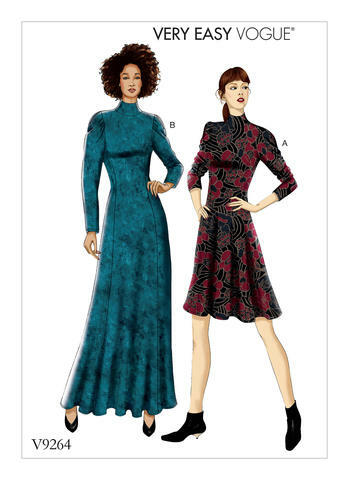 I am happy to report that my one of my dressmaking projects (see previous inspiration post here) is now complete after encountering some difficulties. Today, I will talk you through some lessons I’ve learned from sewing this project (having been sewing sporadically for 5 years now) and reveal my final design. It’s April and with having a week off, I’d quite like to spend this time getting back into my sewing groove! I had started some children’s sewing projects last year (see here, here and here) after the sewing and crafting plenty for our 2015 wedding (you can see the full details of my projects here). Afterwards I believe I burned myself out and with my excitement to try to sew all sorts of things babies and expecting parents would need last year. 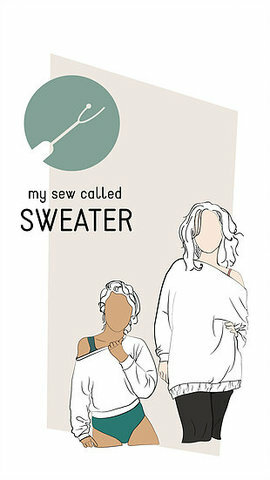 One of the first things that piqued my interest in sewing again was when I discovered Pipe Dream Patterns, a fledgling indie pattern company working towards creating comfortable wardrobe staples with fun style lines to help you explore your own creativity with colours and textiles. As a Chinese living abroad, finding genuine Asian food that I remember from growing up in Hong Kong isn’t all that easy. The reason being no matter what country you live in, when you want to try and eat food from other countries, the restaurants and takeaway shops usually tailor recipes and only offer dishes that the population in that specific country prefer. For example, in Edinburgh I’ve noticed sweet and sour dishes I used to order sometimes were bright fluorescent orange and smell of vinegar with battered pieces of meat and a lot of dishes contain really strong flavours of fruit, so much so you can’t really taste what it is you’ve ordered. This isn’t really something you see often in Hong Kong. 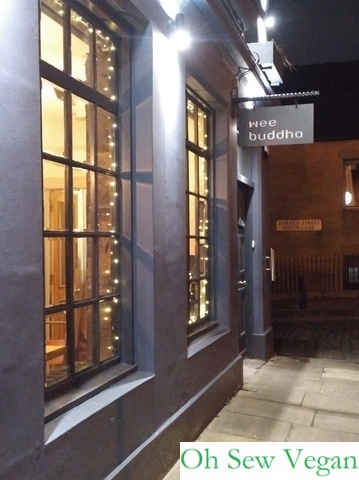 One place that has been a real hidden gem is wee buddha on Jamaica Street. With a separate vegan menu offering Asian food, I was excited to see what they had to offer. We get inspiration from all around us for creative projects and sometimes seeing something you like but wanting to change it to suit your own style is the most straight forward way. Years ago when I was avidly catching all the premier designer fashion shows, I was also watching out for the celebrities to see what they wore. Sometimes what’s on the front row is just as good as what is being paraded down the runway! There was one such Asian celebrity who wore what I thought was an interesting gown. It was made with textured rose pink coloured fabric, was short-sleeved and was the length of a coat, but was in fact a dress with a short zip of around 6 inches which meant the celebrity had to wear shorts underneath. Somehow the length and style of the dress really fascinated me. In Scotland, you wouldn’t catch me wearing the dress with short shorts underneath, but it was one that definitely stayed in my mind! David Bann on St Mary’s Street (just off Cowgate and near Scottish Parliament) will always hold a special place in my heart. It was the restaurant the OH brought me to for our first Chinese New Year’s celebration together and we revisited the restaurant again for Chinese New Year this year. On the day of Chinese/Lunar New Year, Chinese people give the animals a day of rest from slaughter and choose to eat vegetarian for one day. I’m happy to say I no longer hold onto any guilt for only giving them one additional day and having that reprieve shortly taken away when the workers return the next day for work. 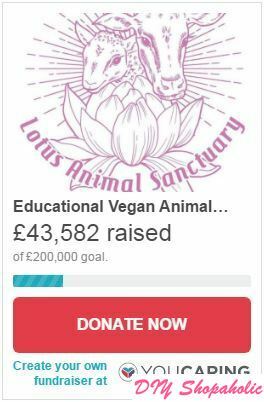 I’m pleased to say that being vegan means giving more animals a chance to be free from pain and suffering, 365 days a year. 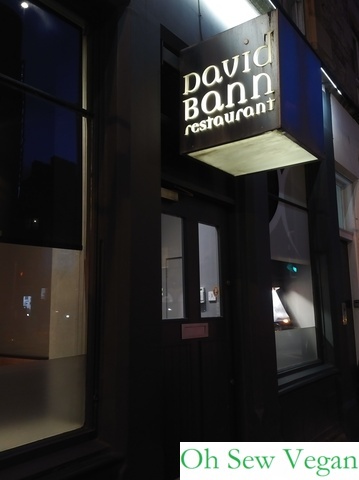 So what does this have to do with David Bann: vegetarian restaurant? It’s been a while since I had sewn anything for myself. After sewing 9 projects for our DIY wedding (you can see all the projects we did ourselves for our 2015 wedding here) and after that, it seemed my friends were all due to have their babies at the same time last year. I was so excited about my friends expecting babies that I was consumed with making handmade toys and clothes for them that sewing for myself was put to one side. 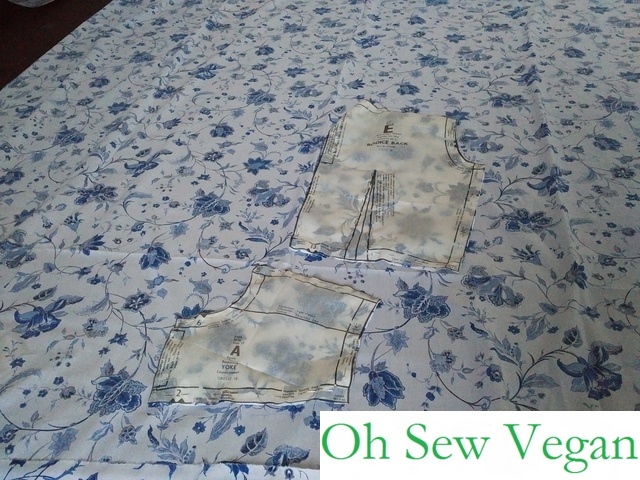 Since becoming vegan, I don’t feel the need to sew quite so much anymore. I’m only the one person and since the OH and I don’t go to formal events that require us to be dressed up much. Added to the fact that I’m trying to clear out all the excess clothing I don’t seem to wear much, I try not to sew too much that I’m not going to get a chance to wear. Seeing a pattern that calls to you, with a shape that you know will suit you and gives you ideas on what to make, really gets those creative juices flowing. Recently seeing one on Instagram did just that. I like to take inspiration where I can for quick and easy meals to cook at home. With the OH being a chef who also likes some variety in what we eat (unlike me who’s quite happy to stick with the same ol’ meals day after day), it’s a nice challenge to know what else I can rustle up for lunch or dinner on a whim. A lot of friends have commented how celebrity chefs like to share meals that are ‘quick and easy’ and oh so simple to make in 5 minutes, but it never works out that way. Derek and Chad Sarno of Wicked Healthy are great for sharing quick and easy recipes like this pasta dish below because when they say it’s quick and easy, it really is. 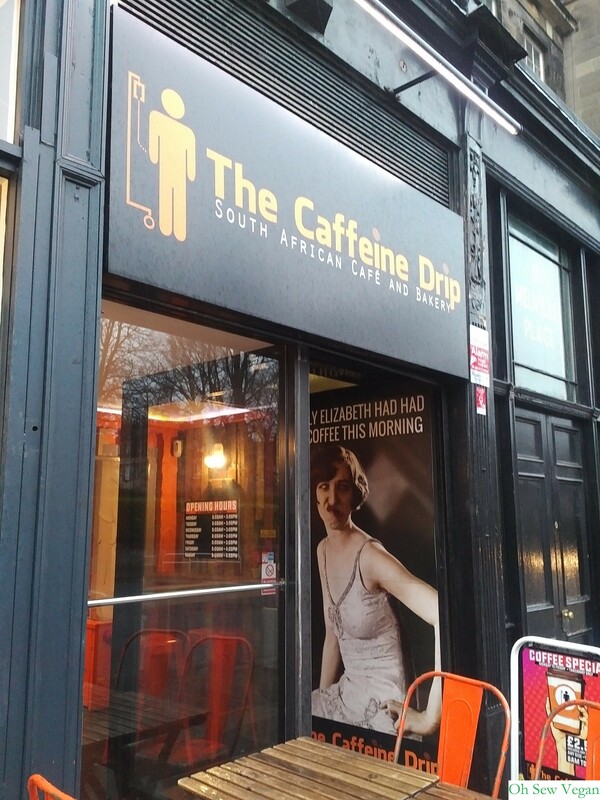 Updated: It is with great regret that The Caffeine Drip announced yesterday they will now be closed. If you’ve ever had a dish that you thought you couldn’t live without as a non-vegan, I guarantee someone else has come up with a vegan alternative recipe that tastes just as good, if not better, than the dish you remember. For a while, I’d been thinking about making my own French toast at home, I even pinned several recipes to try, but when I found out The Caffeine Drip served French toast, I was more than happy to give this South African cafe/bakery a go. If there was a way to create your own bowl of noodles, in such a way that means even vegans can enjoy it without the restaurant making any changes, would that be fantastic? 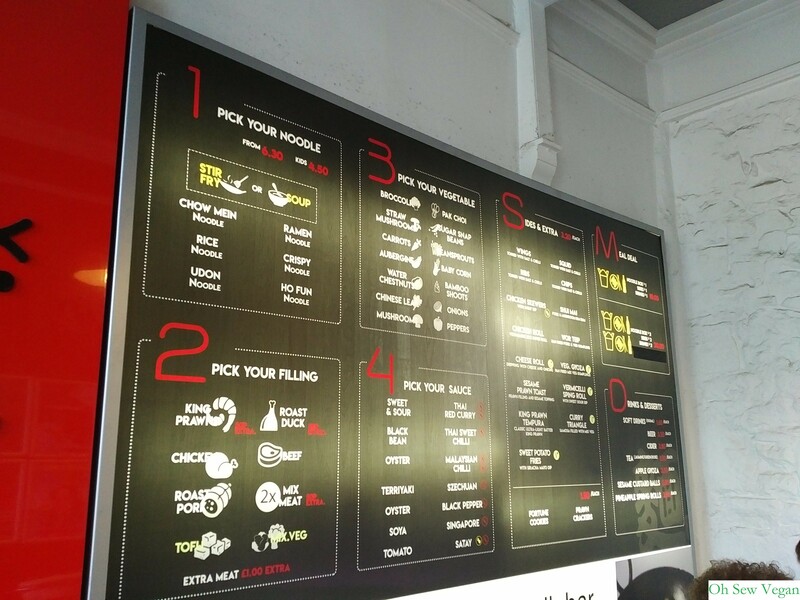 Say no more, Red Box Noodle Bar on West Nicholson Street has you covered.